One cannot live well if one has not dined well, and waitress surely plays a great role to complete the experience. 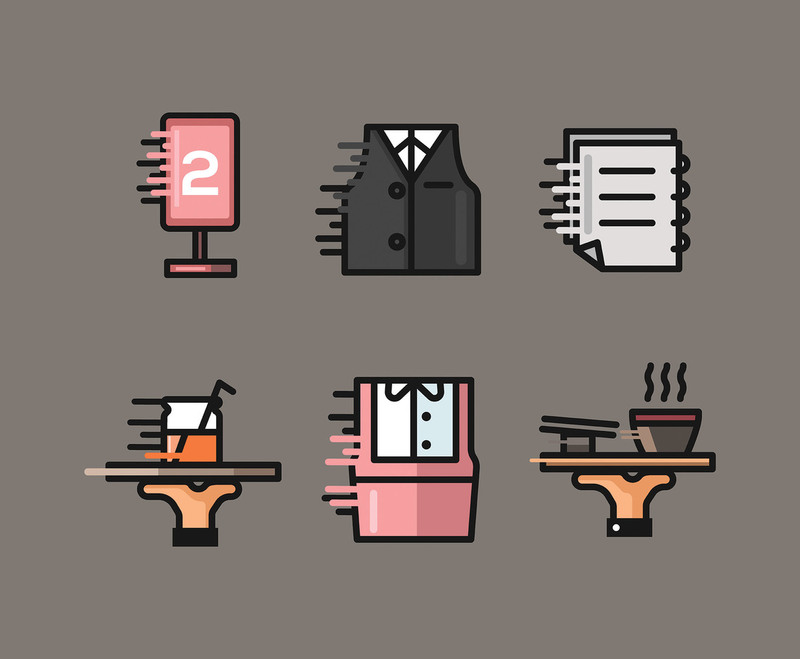 Here are six icons related to waiting tables presented in a gray background. I hope it's useful for your design project.